Leaks and rumours pointing to Nokia’s comeback in the smartphone game have been gaining momentum recently and the latest one to join the fray comes from a very reputable source. A senior Microsoft executive has confirmed the fact that Nokia is about to make a comeback and has set the timeline for the launch of its first smartphones in years somewhere around Q2 2017. “HMD Global (the owner of Nokia commercial rights for 10 years) planned to launch two new phone products in the fourth quarter 2016 and at least two smartphones in the early second quarter 2017,” CEO of mobile device commodities at Microsoft, Asia Pacific, James Rutherford was quoted in a Vietnamese publication. Facts and evidence pointing to Nokia’s comeback are mounting steadily. Last week, Nokia announced via Twitter that it’s CEO Rajiv Suri will be a keynote speaker at MWC 2017. Additionally, there have been a barrage of leaks and rumors pointing to Nokia making a comeback in the smartphone scene with 2 flagship devices and 1 tablet. Earlier this month, a device by the name of Nokia D1C was spotted online with mid range specifications like a 64-bit Qualcomm Snapdragon 430 octa-core processor, 3GB of RAM, 32GB of internal storage, a fullHD screen (display size uncertain) and the Adreno 505 GPU. Later, a listing on GFX Bench confirmed that the leaked device is not actually a smartphone, but a tablet as it has a screen size of 13.8 inches. Tying this up with the other rumours pointing to two flagship handsets with the Snapdragon 820 SoC, we get a nice range of Android products from Nokia to look forward to. 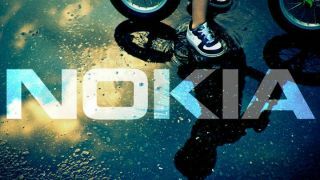 Will Nokia be able to challenge Apple/Samsung? Nokia’s fall from grace was brutal and harsh. Once the biggest mobile phone manufacturer in the world, its fate was sealed after its decision in 2011 to partner with Microsoft’s Windows Phone and sideline Android. All that is old news now. This is 2016. And it seems Nokia has finally embraced Android. Will Nokia be able to make a dent in today’s smartphone market? Will it be able to challenge the big guys, Apple and Samsung? Sound off in the comments!